Did someone you love suffer elder abuse or neglect at Rivercrest Rehab and Nursing? Our lawyers can help. Rivercrest Rehab and Nursing is a for profit, 108-bed Medicare/Medicaid certified skilled nursing facility that provides services to the residents of Maynard, Acton, Sudbury, Concord, Hudson, Wayland, Marlborough, Westford, Weston, Bedford, and the other towns in and surrounding Middlesex County, Massachusetts. 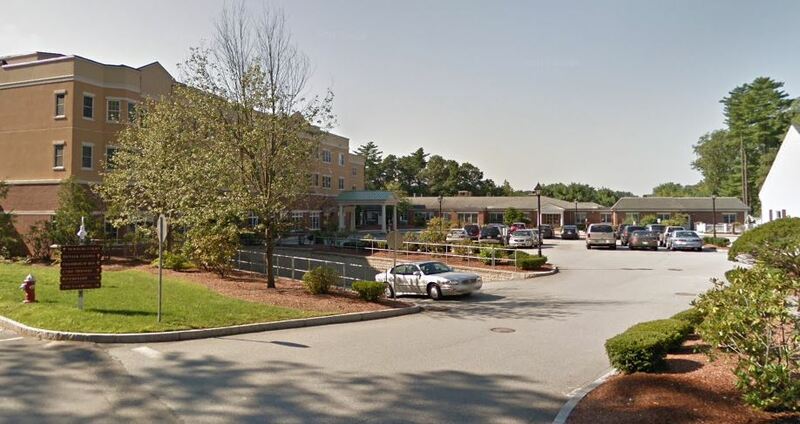 As of 2018, Rivercrest Rehab and Nursing in West Concord, Massachusetts received a rating of 5 out of 5 stars. The Federal Government has not fined Rivercrest Rehab and Nursing in the last 3 years. Based on observation, the facility failed to provide a dignified environment for residents eating meals in the dining area. -At 8:45 A.M., 12 residents were observed in the dining area. 6 had been given their meals while the remaining 6 were waiting. Per the meal schedule given to the surveyors, the breakfast meal was scheduled to begin at 8:00 A.M. 2 residents were observed seated at tables watching their tablemates eat. -At 9:02 A.M., the last resident who was watching his/her tablemate eat was given his/her meal. -At 12:00 P.M., 15 residents were observed in the dining room waiting for lunch. -At 12:10 P.M., the first two meals were delivered to 2 residents seated at different tables. Their tablemates watched as the residents began to eat. -At 12:16 P.M., a total of 18 residents were in the dining area. 4 meals had been delivered, including a plate for a resident who had not arrived to the dinning room. -At 12:25 P.M., a total of 13 residents had been served while 6 continued to wait. 4 residents were watching their tablemates eat. -At 12:38 P.M., the last resident was served his/her meal; after 38 minutes of watching his/her tablemate eat. -At 8:10 A.M., 14 residents were in the dining room waiting for breakfast to be served. -At 8:20 A.M., a total of 16 residents were in the dining room, and a total of 6 meals were served. -At 8:22 A.M., 2 residents entered the dining room and were immediately served their meals while residents who had been seated continue to wait. -At 8:29 A.M., 5 residents were waiting for their meals. Facility staff began to deliver meals to residents in their rooms and while seated residents continued to wait and some watched their tablemates eat. -At 8:38, 2 residents arrived to the dining room for breakfast and were immediately served their meal while 2 residents who had been seated in the dining area continued to wait for their meal. An aide was heard telling a resident that he was putting a bib on him/her and 2 residents at a table of 4 were watching their tablemates eat. -At 8:46 A.M., facility staff approached 1 resident who had been watching his/her tablemates eat with his/her breakfast meal. The resident immediately sat forward and the staff member asked if he/she was starving and in response, the resident nodded yes. -At 8:52 A.M., the last resident was served his/her meal after having watched his/her tablemates be assisted and eat their meals. During interview with the Director of Nursing on 10/25/17 at 12:35 P.M., the above concerns were reviewed. She said she was new to the facility and was looking into changing the dining services practices. Based on observation, the facility failed to maintain sanitary conditions during meal services by failing to properly dispose of contaminated food, failing to practice appropriate hand sanitation and failing to ensure no contaminated items came in contact with the food. -At 12:07 P.M., the cook was taking temperatures of the food prior to serving. The Surveyor observed that an alcohol wipe that she had been using to clean off the thermometer had fallen into the container of mashed potatoes. The cook then took the wipe out of the potatoes and continued to temp the potatoes. The Surveyor inquired if the wipe had fallen into the mashed potatoes and the cook said it had. She then took a large spoonful of potatoes out of the container and continued to take temperatures of the rest of the food. The Unit Manager then approached the cook who then removed the mashed potatoes from the steam table and called down to the kitchen for another batch. -At 12:10 P.M. the Surveyor observed the cook touch contaminated surfaces with her gloved hands, scoop up ground meat and use her gloved hand to level off the scoop, brushing off the meat with her contaminated glove. – At 12:24 P.M. the Surveyor observed the cook to pick up a roll out of a cabinet with contaminated gloves and place the roll on a plate which was then served to a resident. -At 12:30 P.M. the Surveyor observed the cook enter the kitchenette with gloves on, open a cabinet, remove a loaf of bread, reach inside the plastic bag, remove 2 slices of bread, bring the 2 slices of bread back into the dining room, place the bread on the wood counter attached to the steam table and then place the bread on a plate to serve to a resident. -At 12:34 P.M. the Surveyor observed the cook serve french fries to a resident, using her gloved hand to place them on the resident’s plate. -Throughout the entire meal observation, the cook did not wash her hands or change her contaminated gloves. Additionally, the Surveyor observed the cook place plates on top of the wood shelf attached to the steam table while plating the food. the cook then would lean over the wood shelf to read the food tickets and while doing so the front of her shirt would touch the plated food on the wood shelf thus contaminating the food. **NOTE- TERMS IN BRACKETS HAVE BEEN EDITED TO PROTECT CONFIDENTIALITY** Based on observations and staff interviews, the facility staff failed to ensure that medications and biologicals were of current date to provide reliability of strength and accuracy and safety, on 1 of 1 unit observed. A. 1 vial of Tubersol injectable ( a test for [DIAGNOSES REDACTED]) with an expiration date of 10/13/17. B. 1 bottle of liquid Omeprazole with an expiration date of 10/22/17. C. 3 tubes of Glutose ( a gel sugar used for a diabetic emergency) with an expiration date of 3/2017. D. 1 bottle of Super Hydration Drink on a shelf in the medication room and open, without a date and the label states to refrigerate after opening. During an interview on 10/24/17, at 7:50 A.M., Nurse #1 said I will throw these out, I didn’t know about the drink or words to that effect. **NOTE- TERMS IN BRACKETS HAVE BEEN EDITED TO PROTECT CONFIDENTIALITY** Based on observation and staff interview the facility failed to follow proper infection control practices for the prevention and spread of infection during a dressing change for 1 of 1 dressing change observations, (Resident #2), and during a medication pass. 1. For Resident #2 the facility failed to follow proper infection control practices to prevent the spread of infection during a dressing change. Resident #2 was admitted to the Facility in 7/2014 with [DIAGNOSES REDACTED]. During a dressing change on 10/24/2017, at 1:38 P.M. the surveyor observed the following: Nurse #1 performed hand hygiene, applied gloves and removed the old dressing. Nurse #1 then removed her gloves, performed hand hygiene, and dried the wound with gauze. Nurse #1 then removed her gloves, performed hand hygiene, and while walking from the resident’s bathroom to the bedside, touched the privacy curtain with her bare hands, contaminating them. Nurse #1 then donned gloves without performing hand hygiene. She then applied the prescribed treatment, (Hydrogel), with a cotton tipped swab. She then removed a pair of scissors from her pocket and without cleaning them, cut the dressing to fit the wound with the dirty scissors. Nurse #1 then applied the contaminated dressing to the wound. During an interview with Nurse #1 on 10/24/2017, at 2:00 P.M. she said I should have cleaned the scissors first before I used them. or words to that effect. Nurse #1 also said she agreed that she had touched the privacy curtain and said I should have washed my hands again or words to that effect. 2. During medication pass on 10/24/17, at 4:25 P.M. the surveyor observed Nurse #3 to dispense a Calcium/Vitamin D pill into a medication cup. Nurse #4 said that the pill was to large for the resident to swallow and picked the pill up with his bare hands, broke the pill in half, contaminating the pill, and administered the contaminated pill to the resident. During an interview on 10/24/17, at 4:30 P.M. Nurse #3 said he should have washed his hands and put on gloves before picking up the pill to break it in half.